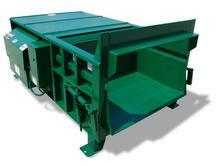 The Ramjet 225 is your best compactor value. 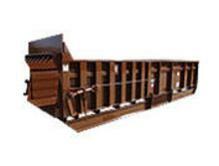 Built for reliable performance in commercial and medium industrial situations, it effectively reduces solid waste material to a fraction of its original size. It is attractively priced and features 56-second cycle time and powerful 55,100 lbs. 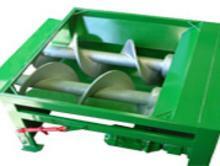 (24.95 kg) maximum compaction force. The RJ-450 compactor features an extra-large 60-inch (1524mm) by 67 1/2-inch (1715mm) clear top opening that accepts large, bulky items with ease. 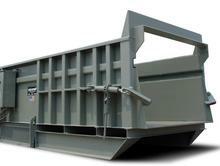 Ruggedly built to meet the challenge, this unit packs a powerful 56,500 (25,628 kg) pounds of crushing force. Compact size makes the Tank Series stationary compactors ideal for applications where space is limited such as a dock feed installation. The RJ-575HD features a large 95-inch (2413mm) by 59 1/2-inch (1511.3mm) clear top opening to accommodate oversized crates and cartons. 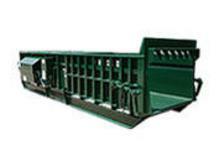 The AST-440 Stationary Auger Compactor is a heavy-duty machine specifically designed for compacting large volumes of waste material. 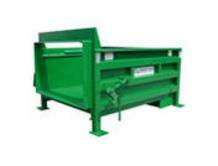 As a Stationary Compactor, the machine is best suited for dry waste such as paper, cardboard, wooden pallets, etc.